Spice Bazaar hosts a wide range of exciting hands-on cooking classes at our purpose built cooking school 10 minutes from Melbourne’s CBD. 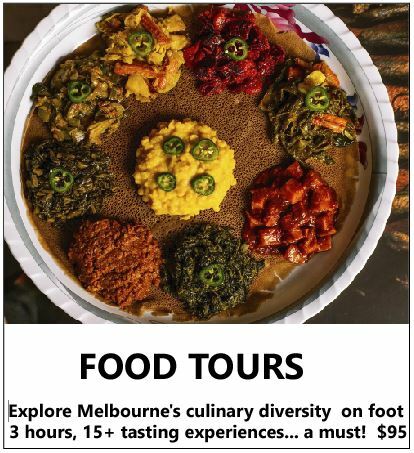 As one of Melbourne’s best cooking classes, the experience has been highly applauded by media, social media and participants alike. This is reflected in our fantastic 5 star reviews, and why customers return again and again. We offer the best value cooking classes in Melbourne, with some of the most comprehensive menus, inclusive of wine-pairing for 4+ hour classes. 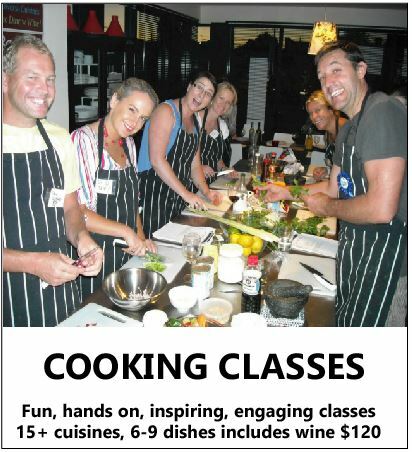 Our cooking classes focus on fun, inspiring and healthy menus. We cover a very wide range cuisines, including Moroccan, Spanish, Persian, Sicilian, Curry Lovers, French, Sri Lankan, South American, Thai, Vietnamese, Greek, Italian, a specific Sicilian menu, Pasta making, Balinese, and also Hawaiian. If you are vegetarian, gluten intolerant, or have other dietary requirements, we can accommodate you, by advance arrangement. Our cooking classes explore the traditional foods and techniques of each cuisine, making them accessible to a wide range of skill levels, from beginners to professional chefs. Whether you are a confident cook, or just starting on your culinary journey, Spice Bazaar will guide you in learning your chosen cuisine with clear explanatory recipes and expert guidance. Our aim is for you to leave our dining table with the confidence to easily recreate the dishes in your own home for friends & family. 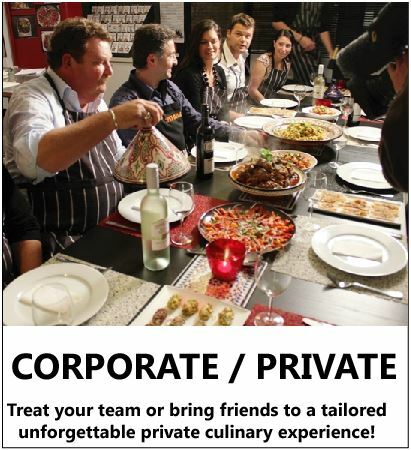 We deliver cooking classes with passion and flare, the reason we are so popular with public classes as well as private parties, corporate team building sessions and hens nights. We can accommodate your private function for larger groups at a fabulous ocean front venue or a stunning city view venue. Spice Bazaar cooking classes have a unique feature in the industry – you have 2 dining sittings for each cooking class. The sessions are extremely social. You will dine on shared tables in the fabulous Seddon restaurant strip, just 10 minutes from Melbourne CBD in the premier emerging culinary hotspot of Melbourne’s western suburbs. Participants get to enjoy a range of expertly matched wines with meals in both evening and day sessions on Friday nights and weekends. Come for the food experience, leave with new culinary confidence and new foodie friends! 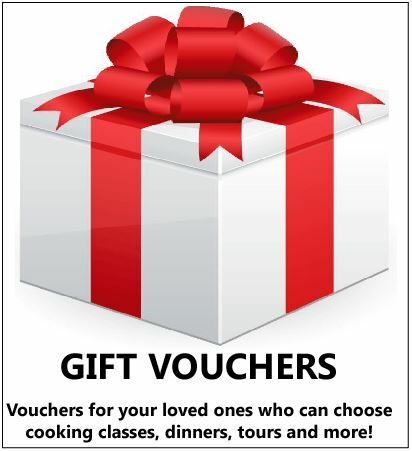 Gift Vouchers can be purchased in just minutes for cooking classes, food tours, spices and dinners for the important people in your life! We are experienced in food from across the world and have family histories of running restaurants both in Australia and Europe. Our thirst to learn and cook new food from diverse cuisines fuels our extensive travel to continents spanning the globe. Food and communication are our passions. We love to meet other chefs, cook, research, and regularly draw inspiration from street food to michelen star restaurants and especially love to share that knowledge with people. 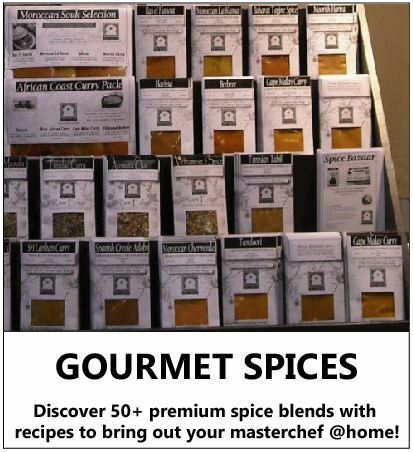 Spice Bazaar also offers a huge range of gourmet spice blends all hand made on the premises for the past 19 years. If you don’t want to cook your self, our wine paired 7 course degustation dinners are a recent addition which feature specific premium Victorian wineries and are very popular and book out regularly. We offer fun, social, exciting cooking classes which are hugely popular and award winning which represent the both Melbourne’s most innovative format for learning new cuisines as well as best value. It seems everyone's a food critic these days, which means cooking for a dinner party, or just whipping up a post-work meal, can be daunting. If you can't stand the heat, get out of the kitchen – and into someone else’s. Here are some of Melbourne’s best cooking classes. If you’ve never been to a cooking class, Spice Bazaar is a great place to start. 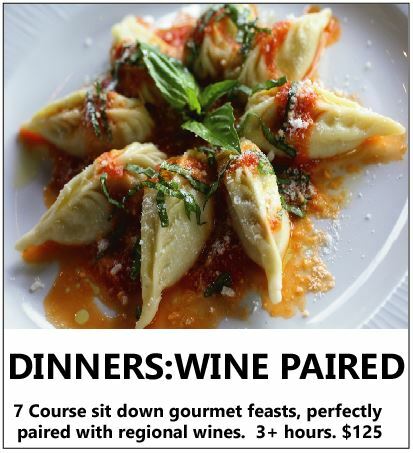 The small, hands-on classes are loads of fun, and you get to eat whatever you cook – usually several courses, so come hungry – accompanied by matching wines. Some classes focus on regional cuisine, such as Thai street food or Spanish paella, while others allow your tastebuds to go globetrotting – the Curry Lovers class includes Ethiopian pastries, Sri Lankan seafood curry and Sumatran beef rendang. No matter which mouthwatering cooking class you choose, the dishes are sure to help spice up your repertoire. Melbourne is awash with great ways to fill any gap in your knowledge, with classes teaching everything from butchery to brining, with curing, cakes, spices and salami all on the menu. The long nights and cold weather provide the perfect opportunity to brush up your skills or learn some new ones. Here are our picks for some of Melbourne’s best courses to do this winter. What: “They are hands on, fun and engaging,” says Patrick Aldred, of the cooking classes he and his partner Jill run at Spice Bazaar in Seddon. “People have an absolute ball, and take away heaps of new skills.” The cooking school, which the duo has run for the past 4½ years, grew out of their spice business (“Moroccans come to us for their ras el hanout!”) and it’s those spices you’ll learn to use in such themed classes as Sri Lankan cooking (July 4), Moroccan Cuisine (July 26) and Exotic Persian and Middle Eastern menu (July 25).